Caroline offers a FREE first / introductory lesson! I am a languages graduate from Oxford University with a BA Hons and MA in French and Italian, a Postgraduate Certificate in Education (Modern Languages and EFL) and a Ph.D in Italian. I have over 20 years' experience in teaching in Secondary and Higher Education and have been teaching French and Italian at state and independent secondary schools, and in adult education for the last 25 years. I am a qualified teacher with approximately 25 years' experience of teaching in Secondary Education and Adult Education, and have been Head of Modern Languages for over 10 years. I prepare and examine students for GCSE, iGCSE,AS and A level examinations and am a GCSE /iGCSE examiner for EDEXCEL. I have also taught both French and Italian in adult education, to students wishing to improve their language skills to pursue leisure activities, or personal needs. Whether teaching secondary school pupils or adults, I tailor teaching to individual student needs and learning styles. Realistic objectives are agreed after initial assessment (eg developing examination techniques, speaking and listening skills, grammar, etc), and are based on individual circumstances and goals. Teaching 1-1 is an opportunity to learn in an informal and relaxed environment and to maximise progress within a limited timeframe. CarolineFrom Janine (5/5): I enjoyed my first lesson very much. Thank you for your patience! 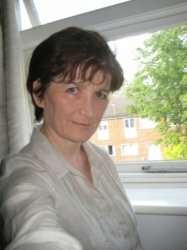 CarolineFrom Suzanne (5/5): Caroline is a fantastic tutor who makes learning this beautiful language extremely enjoyable. I have learnt so much already, having had only 5 lessons so far, and really look forward to continuing to build on my Italian vocabulary and conversational skills each week. If I don't understand I feel comfortable in asking and as a teacher myself really appreciate the progress I am able to make each week. CarolineFrom Lisa (5/5): It was lovely to meet Caroline and she was very helpful towards my son and giving him lots of encouragement and advice regarding his French.